The director-general of the Thai airports' authority has commented on the expansion and refurbishment plans currently being undertaken at Krabi airport in Thailand's south. 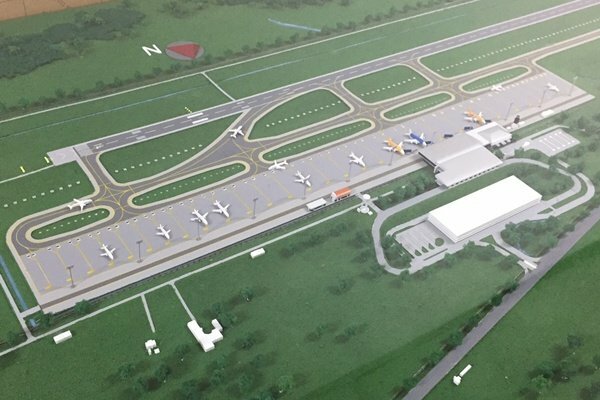 Work on a third terminal building will be completed by 2022. Amphawan Wannako said that work is also being done to refurbish the existing terminal structures 1, and 2 including car parks. When the work is all done the airport capacity will be 3,000 passengers per hour with 8 million expected to use the facility annually. The work is costing 3.8 billion baht. Amphawan has ordered that obstacles be overcome especially in relation to passenger safety that she said was a paramount consideration. Features of interest at the airport in the future will include improved check-in facilities (common user) and free wi-fi, reported Manager. Bit worrying when they have to put a large 'N' on the ground to tell the pilots which way is North !